Kevin, the voice and rhythm of the Chieftains, joined the group in 1976 replacing Peadar Mercier. Vocals now became a new element in The Chieftains sound as up to this time, there was no regular vocalist. Kevin was born in Donore, a rare musical suburb of Dublin and one of the city’s most historical places. 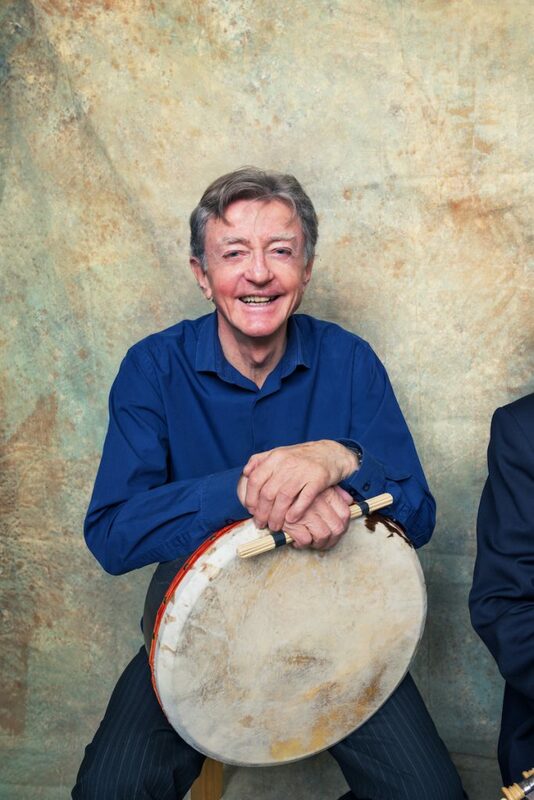 At first a jazz fan, Kevin discovered traditional music in his teens, and soon learnt to play the bodhrán and developed his singing, particularly sean nós, influenced by Paddy Tunney and Christy Moore. Kevin was also a founder member of the Tradition Club at Slattery’s in Dublin. It soon became a meeting place for those who wanted to hear traditional music performed by well known performers of the tradition, allowing musicians to play with others in an organised setting. Some of the musicians and performers who played in the club even included a Chieftain or two in a solo or duet setting. In the late 1960s, Kevin joined Christy Moore and others for the recording for the now famous album Prosperous, which laid the groundwork for the group of Planxty. He was asked by Paddy to record a couple of tracks with The Chieftains in London for ‘Bonaparte’s Retreat’, and became a permanent member soon after. Kevin’s singing is in the old style which reflects interpretation and is generally unaccompanied. On the bodhrán, he can demonstrate a subtle rhythm or really heat things up. Kevin has also released a solo album, ‘The Week Before Easter’ released in 1988. Kevin has three children, Peigí, Ruairí and Ella and lives in Wicklow with his partner Jean.